THE FACTS – Ángela Murillo, of the San Francisco tribe in Locomapa, Yoro, and member of the National Driving Group of the MADJ, is now targetted with threats and community exclusion due to her struggle against clearcutting in ancestral territory. According to a denunciation presented by the MADJ, the defender and her companions in struggle, Ramón Matute and José María Pineda, also members of the Broad Movement, have received threats from leaders of the Federation of Xicaques de Yoro tribes, who, in addition to inciting townspeople to insult them, have informed them that they have been expelled and their condition of being indigenous people stripped from them. 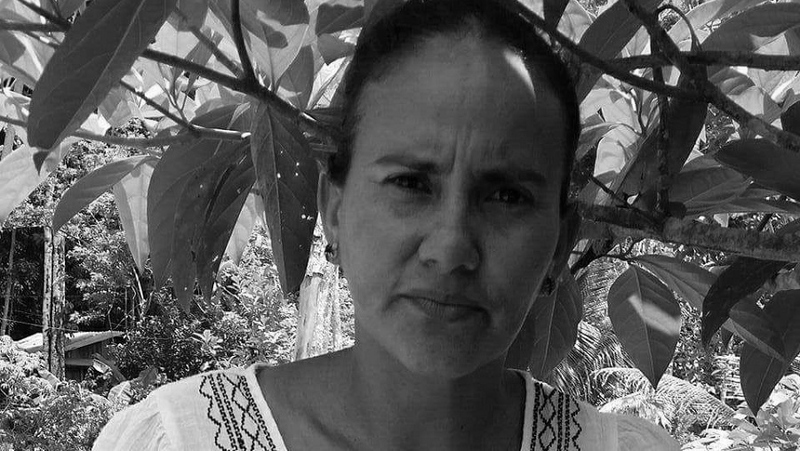 Despite denunciations made by the MADJ, entities such as the Institute of Forest Conservation (ICF), the Public Prosecutor’s Office, the police and the Protection Mechanism for Human Rights Defenders itself have avoided the issue and done nothing to investigate the facts and establish all due protection measures to guarantee the security of Ángela Murillo and her two comrades. 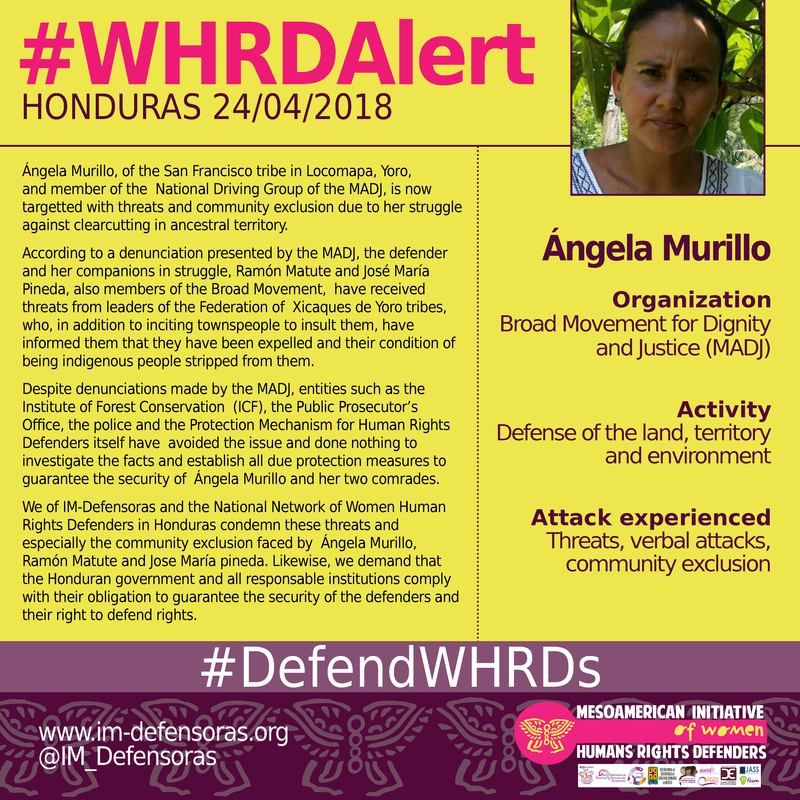 We of IM-Defensoras and the National Network of Women Human Rights Defenders in Honduras condemn these threats and especially the community exclusion faced by Ángela Murillo, Ramón Matute and Jose María pineda. Likewise, we demand that the Honduran government and all responsable institutions comply with their obligation to guarantee the security of the defenders and their right to defend rights.